The 2006 All-American two year old mare is now at home at Doubletail Farm. Thank you, Homer Miller ! Ruthie was Best-of-Breed at the 2007 West Virginia State Fair ! 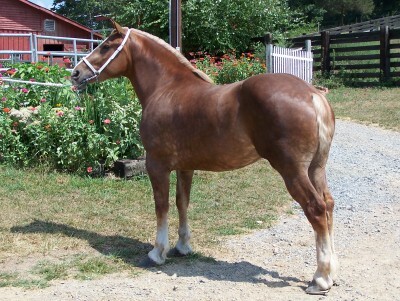 She doubles as the right hand wheel mare of our mare six !